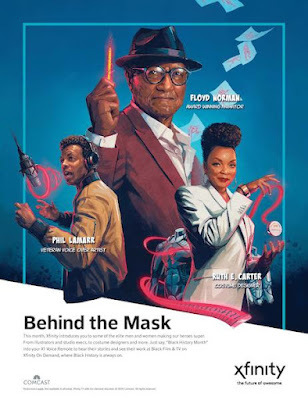 In celebration of Black History Month, Comcast launched a new short film that puts a spotlight on some of the talented contributors behind America’s favorite superhero stories, shows and movies. The short film will be available starting today within the “Black Film & TV” destination on Xfinity on Demand, online at xfinity.com/discovermore, on the Xfinity Stream app or by saying ‘Black Film & TV’ into the Xfinity X1 Voice Remote. Xfinity On Demand’s Black Film and TV destination is a curated collection of shows, movies, music videos, and web content featuring African American actors, content creators, musicians and sports figures. With a library that includes over 800 titles including historical documentaries, biographical films, and specials; it continues to serve as the permanent place on the Xfinity on Demand platform where Black History is always on.